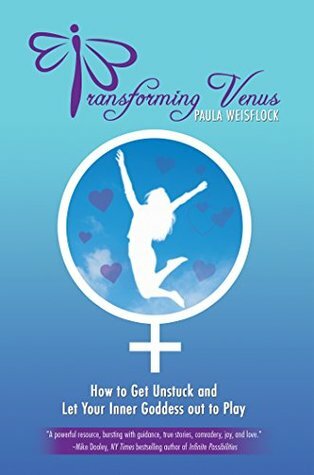 Transforming Venus: How to Get Unstuck and Let Your Inner Goddess out to Play by Paula Weisflock was published on May 18th, 2017 by Balboa Press. TRANSFORMING VENUS is an enlightening and educational adventure designed to help you make the life changes you most deeply desire and deserve. It is a book designed for women who are ready to shake off their life-numbing inertia and reignite their hearts, heads, and souls with the passion and joy they have been missing for so long. Bursting with inspiration, practical tools, and real-life Goddess stories, Transforming Venus will help even the most stuck Goddesses break free of their old habits, so they can finally let their inner Goddess out to play. About the author: As founder of the Goddess Academy, Paula Weisflock has created a program that is specifically designed to support women on their journey of awareness, purpose, creativity, and fun. Through a host of personal growth adventures, Paula is honored to be your personal guide on the pathway to finding your bliss. For many years, she has led by example, empowering women by giving them the tools and training they need in order to build the lifestyle they have always desired. In order to share her message with women from all over the world, Paula released her book Transforming Venus: How to Get Unstuck and Let Your Inner Goddess out to Play in the summer of 2017. Transforming Venus is the culmination of wisdom, wit, and good old-fashioned positivity that will guide your inner Venus on the path to bliss. 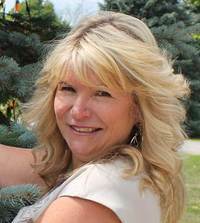 As your guide, Paula’s role is to illuminate your path as an Adventure Seeking Goddess!